Pineapple - another discovery by Columbus? Pineapple – another discovery by Columbus? 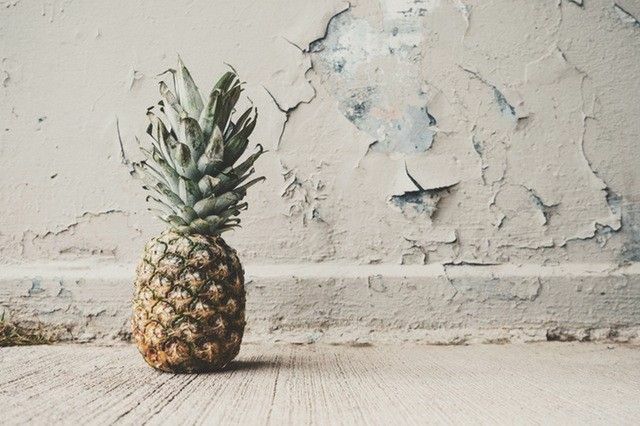 Tasty and refreshing, pineapple is not exactly a fruit; it is more of an inflorescence, or a multitude of berries (the ‘eyes’ of the pineapple) that are formed after the fusion of flowers on the spikes. The scientific name of the pineapple, ananas, originates from the Tupi-Guarani (an indigenous language in Brazil) word naná naná, meaning ‘fragrance of fragrances’ or ‘excellent fruit’. In fact, the selection of pineapples should be based on its fragrance: it should be full and fruity, but not too strong smelling, as this signifies the onset of fermentation. Pineapple is full of vitamins and manganese and it contains the enzyme bromelain that helps break down proteins and thereby aids the digestion process. This explains why the fruit is often served as an accompaniment to pork dishes and also why it is added to marinades for tenderizing meats. Indigenous to Paraguay and southern Brazil, pineapple had already spread to Central and South America by the 15th century. It was Christopher Columbus who ‘discovered’ this fruit in Guadeloupe in 1493. But the first person to document its virtues on paper* was my very own ancestor, Michael de Cuneo, a childhood friend of Columbus and his companion on the latter’s second voyage. ‘The plant looks like an artichoke… the fruit is shaped like a pine cone, only twice as large and it tastes excellent. It can be cut with a knife, like a turnip and it seems to be very healthy’. So as you can see, the interest in good food has been in my genes for over 500 years! *Letter to Gerolamo Annari, dated 15 October 1495, preserved at the library in the University of Bologna, Italy. Originally published in the Journal de Montréal on December 4, 2010.